[San Francisco]: the journal, 1974. 47p., photographic illustrations, 9 x 6 inch staplebound wraps; somewhat edgeworn. Doctrine, memorials, news, and a discussion of land purchase: Tassajara was paid off in 1972, the SF Center and Green Gulch still mortgaged. San Francisco: State of California Department of Natural Resources, Division of Mines, 1951. 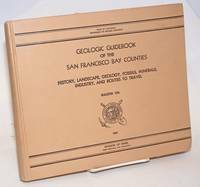 392p., preface, illustrations, folded map, glossary, index, oblong 10 x 8.5" cloth boards. Slight water damage to first few pages, corners bumped, spine fraying, boards soiled, else good condition. Bulletin 154. Oakland: Black Panther Party, 1972. 20p. illus. tabloid newspaper; Horizontal fold, paper toned, mild handling wear. Emory poster on rear cover. Oakland: Rose Foundation for Communities and the Environment, 2005. 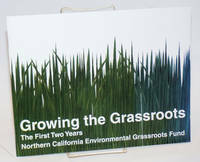 12p., elaborate pamphlet printed in colors on alkaline cardstock-weight paper, staplebound in oblong 8.5x11 inch wraps. A fine, unmolested copy. San Francisco: S. F. History Room, Main Library, Civic Center, 1979. Unpaginated, 24p., illustrated with a few period photographs (tents and cookery), facsimile reprint; staplebound 8.5 x 5.5 inch wraps, cover bears a small inked squiggle and other faint signs of handling. S. F. archives reprint no. 1. 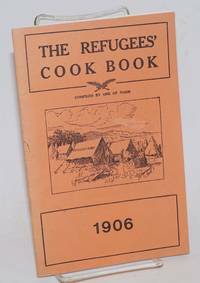 Preface (the original) reads, "..compiled for the benefit of those who have lost their cook books in our great disaster. Every recipe has been tried and tested and in the next edition" [? if not also reprinted, probably never appeared] "there will be many useful suggestions and more recipes, explained so understandingly that any one, no matter how inexperienced can prepare without difficulty"-- includes makeshift water filter "the water will be clear and free from sediment"-- and explains how you "clear your house or tent of flies;" but you have to buy the book. 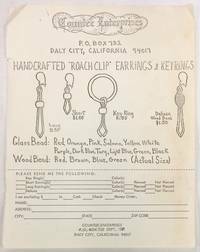 Eureka CA: Lambert & McKeehan, Printers, 1915. Pamphlet. 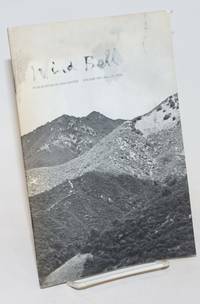 32p., printed on alkaline coated paperstock throughout, softbound pamphlet in stapled 7.5x5 inch photographic wraps; illustrated with sepia photos in a running text plus four fullpage colorized photos recto and verso of each cover (two sequoia scenes, dairy, orchard). We see a small smudge on one page of text (p.17, could be a printing error) and faint crimping here and there, a pretty item in clean sound shape without ownership or other markings. Last page notes features Humboldt has ("good lands at fair prices" &c &c) and hasn't: "It has not:-- Chinese or Japanese; Spanish or railroad grants; irrigation; serious pests of vegetables or fruit; summer thunder storms, cold winters, severe frosts, cyclones, or blizzards; crop failures, from any cause" Dated from the printer's reminder that the PPIE is not all that far away. San Francisco: HBK Media, 2003. Paperback. 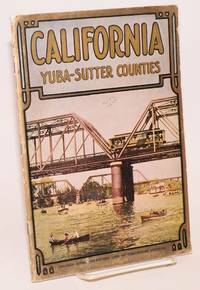 64p., 4.25x8.5 inches, event calendar, Guerneville business directory, resources and services, ads, very good booklet in stapled glossy white pictorial wraps. 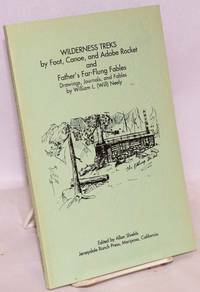 Berkeley: University of California, 1943. vii, 127p., numerous illustrations from b&w landscape photography, diagrammatic maps (some in colors), graphs; text typewriter-set, printed on glossy coated paperstock throughout. 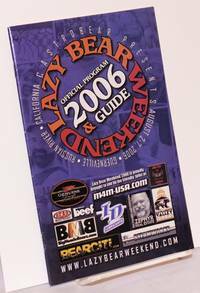 First edition plain printed 10.5 x 8 inch wraps, upper joint is partly detached from textblock (no risk of losses), otherwise mild signs of handling. Special publication of the Giannini Foundation of Agricultural Economics. 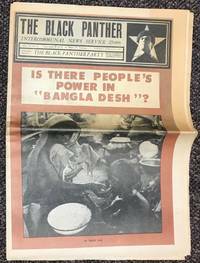 The Black Panther Intercommunal News Service vol. VII, no. 1, Saturday, August 28, 1972. George Jackson Lives! Oakland: Black Panther Party, 1972. 20p. illus. 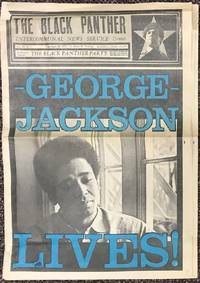 tabloid format newspaper, fold-creased, with George Jackson portrait on front cover and Emory Douglas poster on the rear cover; upper left corner of front page torn away, not affecting text. This is the first issue of the BPP paper to appear after Jackson's death on August 21. Includes a full-page announcement of Revolutionary Memorial Services, and a centerfold poster with text by Huey Newton. Marysville: the county supervisors, 1915. Pamphlet. Original specimen: 64p., printed on alkaline coated paperstock throughout and illustrated with plenty of b&w site photos and four colorized photos on and within the 9x6 inch stapled wraps, these bordered in gilt. Find also a doublespread surveyor's map from 1914. Spinefold a little abraded with a short tear at the head, slight general edgewear and tiny pencilled numerals on cover picture, an otherwise good clean copy. The site pix of various sorts of buildings are probably uncommon (unpaved main streets, powerhouses, mills, long views to distant hills). [Oakland? ]: the author, 1969. 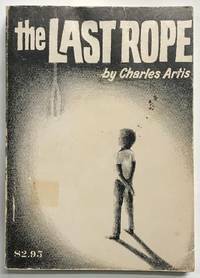 220p., inscribed by the African American author, first printing, paperback. Front cover has some spots of discoloration and a rectangular shadow from an old price tag. The Bay Area African American author's first novel focuses on an interracial couple in Texas in the context of the black migration to the west coast during World War II. Anchorage AK: Intertext, 1986. Unpaginated, about 25p., softbound, a pamphlet in decorated 8.5x6.5 inch wraps. Faintest signs of handling, a nice clean copy. The first blank is inscribed to Garth & Brenda Jeffers with a brief message; poet Hunt was much influenced by poet Robinson Jeffers, Garth's father. 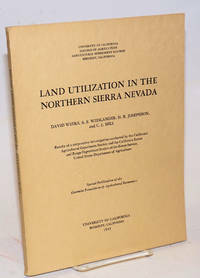 Hunt's texts pertain to remote mining districts in California, not Oregon (where book was designed) nor Alaska, where published. Berkeley: University of California Press, 1986. Hardcover. xvii, 356p., first edition cloth boards in dj; almost as new. Inscribed ("thanks for your help with this"), signed and dated. San Francisco: Castrobear Presents, 2006. 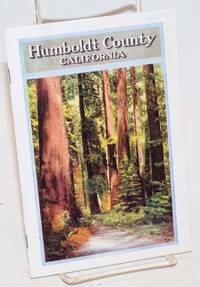 64p., 5.5x8.5 inches, event calendar, Guerneville business directory, resources and services, ads, very good booklet in stapled glossy pictorial wraps. Mariposa CA: Jerseydale Ranch Press, 1995. Paperback. xvi, 122p., illustrated with sketches, two photoportraits and a line map; softbound in 9x6 inch plainish printed wraps. A nice clean copy. San Mateo: San Mateo County Historical Association, 1969. 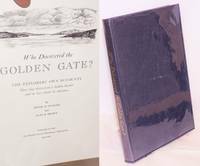 173p., facsimile maps and sketch illustrations, 11 x 7.5 inch openweave cloth boards spine-titled gilt, a clean sound copy enclosed in its original acetate dust jacket, this also in good shape. San Francisco: HBK Media, 2002. 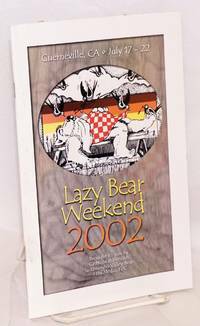 52p., 5.5x8.5 inches, event calendar, Guerneville business directory, resources and services, ads, very good booklet in stapled glossy white pictorial wraps. 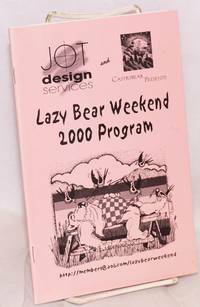 San Francisco: JOT Design Services & Castrobear, 2000. 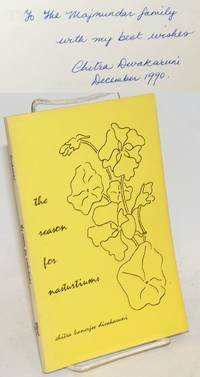 48p., includes covers, 5.5x8.5 inches, event calendar, Guerneville business directory, resources and services, ads, very good booklet in stapled pink pictorial wraps.